Like many Yale students, Yishai was looking forward to spring break. Two weeks of no class would be a welcome relief. However, as an orthodox Jew he was a little concerned by the thought of traveling to Israel with eight evangelical Christians involved with Yale Students for Christ (the Cru ministry at Yale). At least the Yale orthodox rabbi and four other Jewish students were going. 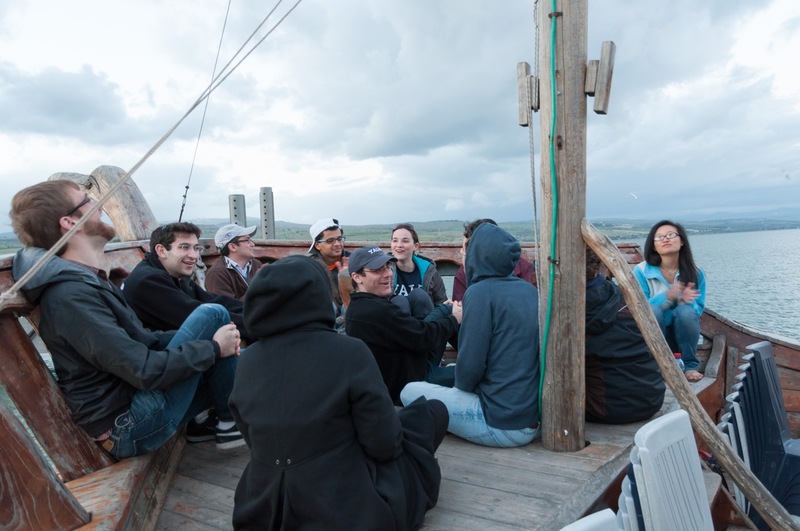 This trip had its beginning two years ago, when a Jewish student at Yale enthusiastically pursued the question, “Why would someone believe that Jesus is the Messiah?” A group of orthodox Jewish students and Cru students began meeting for Bible study. That small group decided a trip to Israel would develop their knowledge of each other. You can read Yishai’s reflections on this trip in the Yale student paper. But Israel is not the only place students went over spring break. Cru students from the University of Maine, Cornell and New York City traveled to Haiti to continue earthquake relief efforts begun by Cru in 2010. Students from the University of New Hampshire went to three locations. One group cleaned and rebuilt on Staten Island after the devastation of Hurricane Sandy. Another worked with Habitat for Humanity in Hartford, Connecticut. The final group worked with Habitat in Seacoast, New Hampshire. One hundred and eighty students from Mississippi, Alabama, North Carolina and Florida came to New York City to minister on college campuses and to serve the poor. Four students from Alabama spent time at Pratt Institute. “I’m so intimidated by art students,” one said as they traveled to campus for the first time. Over the course of two days these four students initiated 25 spiritual conversations using Soularium, a photo based spiritual survey. Thank you for praying for these many students impacting the world over spring break! This entry was posted in Evangelism and tagged conversations, Cornell, leadership development, New York City, religion, share faith, spring break, step of faith, training, UNH, University of Maine, University of New Hampshire, Yale. Bookmark the permalink.